The Green Phone Booth: Got gas? 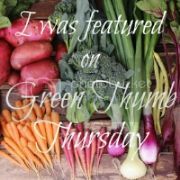 A quick post from the still-drugged-up-on-DayQuill Going Green Mama. Gasoline prices topped the $3.15 mark in our town recently, and all of a sudden people are realizing that hmm... consumption carries a price. In the last few days, I'm starting to see a resurgence in headlines covering rising gas and food prices, and people who are retooling their lifestyles as a result. My question is this: What were these folks doing since the last time gas hit $3? Going back to old habits? Figuring, hey, $2.75 ain't so bad? For us, our habits forged a few summers back have stuck. We piggyback errands. I weigh the cost of a sale against the cost of a special trip to the store. We've reduced our extracurricular activites, too, choosing to spend more time at activities closer to home, rather than commuting around the city. So my question to you today is this: What's your breaking point on fuel prices? Have you made changes to your routines - and do you stick with them when prices decline? We, like you, do not change our routine just because gas changes a little. We live in the country, so we group our trips and try to stay in our local village as much as possible. I am personally a fan of a gas tax so that people have realistic expectations about what they pay for gas and the way that gas usage effects us all. I used to be a bike commuter and didn't own a car, so I had no choice, but to group errands and if I forgot something at the store, I generally learned to make do without until the next time around. This habit has definitely traveled with me into the future. The next stage of my life found me living a the edge of a city of about 80k and DRIVING everywhere because the bike/bus transit system terrible and I had newborn. We did make good friends with Target, JC Penny & King Soopers (City Market) because they were walking distance from our house. My husband had to commute to a different town and the last rise in gas prices was a factor in our decision to move to our current community. We are now in a town of about 20k, but my husband works here, so he can bike to work (although in the too cold/too hot he still takes our commuter car). And, in the last year we've put less mileage on both our cars than we used to put on a single car in one year! At the same time, we've done more in-state road trips (3 camping and one to a cabin) because it gas is still more affordable than a plane ticket and I don't feel quite so bad about driving in comparison to flying. And when it comes to errands, we definitely like to combine trips and because our town is so small, take a few days per week in which we just leave the car in the garage and walk or bike where we need to...and someday I am still going to talk my husband into a cargo bike...although I am pretty sure I am the one that will be driving it not him! I also know that several friends who have changed over cars since the last bout of rising gas prices have all opted for crossovers or minivans versus bigger SUVs with worse mileage. One friend's husband bought a used motorcycle, because his old "commuter car" is a Dodge Durango truck. And, I'd say that car-pooling is way more popular for events and outings than it used to be...I remember always getting the response "I've got to run errands" or "be late" or whatever as an excuse why folks could not carpool, whereas now, friends seem to think it is a great idea. I work less. I used to work 5 days/week now I work just 2. I work in home health and go from house to house- around 130-200 per day. I don't see how taxing us more is going to help. I would be out of biz as would a lot of people who travel. It's not like I can go up on prices because insurance doesn't pay more because what it cost me to get there costs more. Lots of patients who depend upon me and others like me would be without care. And these patients can't travel. Once gas gets too high they won't travel and will be without the care they need which would cost us in other ways. I live in the south where the nearest store is a 15 to 20 drive and most likley an hour to two walk on roads without side walks. So a gas tax would just punish us. We can't get around driving in these rural/suburban towns. FYI I drive a compact, I shop just once per month, I leave my car in park for 2-3 days. I'm from new york so I'm used to walking but there are no sidewalks here. I think a heavy gas tax would criple our nation. I want a fix but this gas tax is not it...so sorry. I'm a homebody, I hate to drive, and I work from home, so I think I put less than 6000 miles on my car each year. And most of that is visiting my parents and grandparents once a month or so. I do try to go see them all on the same weekend but round trip it is about 140 miles. My husband, on the other hand, spends a lot of time commuting. It isn't for fun and we can't afford to live closer to his work — if we want to be in a good school district. So the increased gas prices can be a burden. Since moving to a small town 5 years ago our mileage has decreased immensely. We used to rack up close to 100 miles a day or more between the two of us. Now combined we don't even do 100 a month unless we take a short day trip. People need to learn ways to lower their consumption of oil on their own and get used to it because soon it will not be a choice. I'm perfectly with fine with high gas prices and I try to not allow them to change my routine or plans that I have. I honestly cannot tell you how much money it costs to buy gas in my town since I don't bother to look. If I need gas, then I need it, no matter what price it is. However, in nicer weather, we do ride our bikes for groceries, shopping, lunch and dinner if possible. I also ride my bike to work, since I am only about a mile away. This is not an economical choice for me, more than it is a health and environmental choice. Lori says, "People need to learn ways to lower their consumption of oil on their own and get used to it because soon it will not be a choice." I disagree. I think it's unfair to put the burden on individuals. We never really notice if gas goes up and down because we barely drive. But we live in a city and my fiance walks to work and I take public transit. There is an infrastructure in place that allows us to travel without a car. But for people like Mimi, they need to drive. And I think it is unfair to penalize individuals for a problem that is much more societal than it is individual. I don't think people need to learn how to use less oil; our society needs to learn how to build cities that enable public transportation, biking, and walking. When I visited Amsterdam, no one drove. Everyone biked everywhere. Even in the freezing cold. But it was a bike-friendly city. You can't build huge swathes of the country to only support automobile transport and then tell individuals that the onus is on them to use less oil. Instead, we need to work on building infrastructure to support alternative forms of transport.